Snowdrop and the exploits of Alex Ritchie. 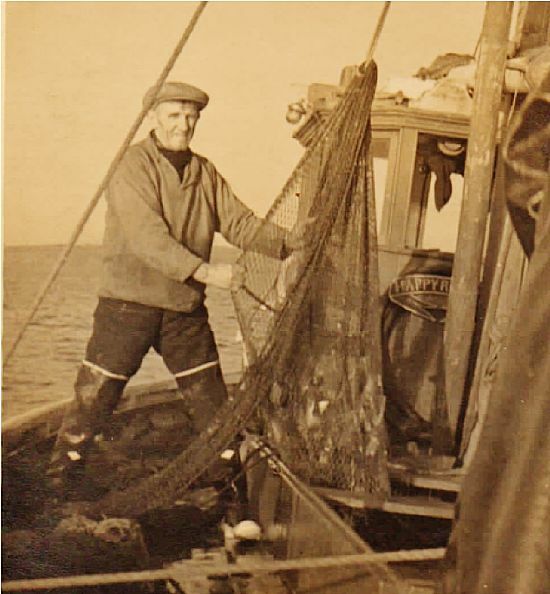 Alex Ritchie was born in Gourdon in 1863 and became a seaman learning his craft on the fishing boats which sailed daily from the village. In April 1908 he signed onto the Arctic whaler Snowdrop a 63 ton ketch. Snowdrop was built in 1886 in Scarborough and bought and fitted out for whaling by Osbert Clare Forsyth-Grant of Ecclesgreig Castle, St Cyrus. Snowdrop left Dundee in April 1908 for the prolific whaling grounds around Baffin Island to the north of Hudson Bay. 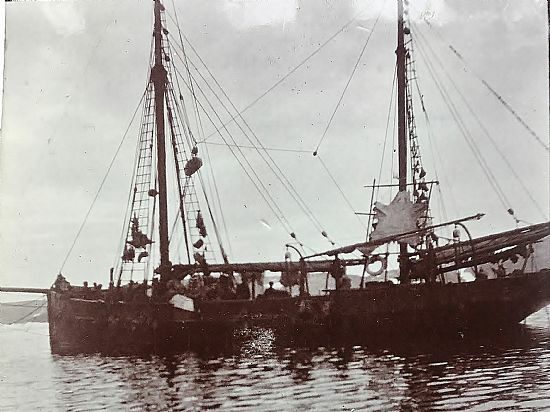 She was headed for Forsythe-Grant's arctic base at Cape Haven, known locally as Signia, and situated on the Hall Peninsula near the southern end of Cumberland Sound. The voyage across the Atlantic as far as Cape Farewell in Greenland took thirteen days. 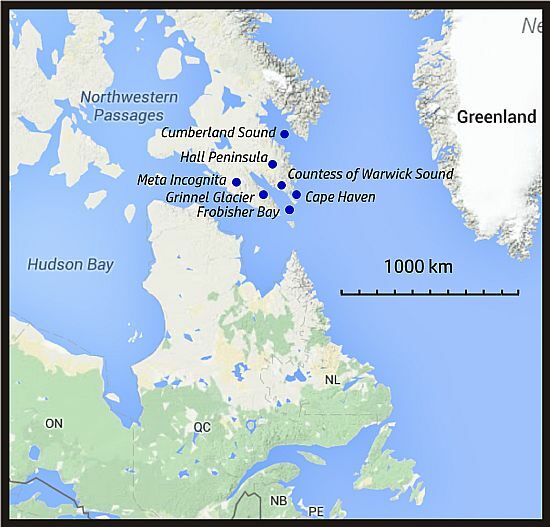 From there they made their way along the coast of Greenland to Cape Haven fishing as they sailed. At Signia they were took on board the local people who were to help with the fishing. However a gale sprung up and, caught on a lee shore, Snowdrop was driven on to rocks. She was badly damaged and began to break up but the crew managed to get everyone off the ship without injury. The crew of Snowdrop was marooned. They had no option but to make the best of whatever they could salvage from the wreck and to acquire the survival skills of the local people. They travelled overland to Signia where the majority of the crew, after several attempts at escape, elected to remain and hope for rescue. The local people cared for the crew of Snowdrop with great hospitality. In December 1908 the family which was acting as hosts to Alex, following their nomadic custom, left Signia to hunt for food and furs. Alex decided to go with them and set off on 16 December 1908. The party trekked toward the south west coast of Meta Incognita Peninsula. Alex Ritchie’s subsequent adventures with the Inuit people and his struggles to reach a point at which rescue was possible are told in great detail by Alex himself in a BBC recording made in the 1950s and in a scholarly article by Sandy Inglis of Gourdon which was published in two parts in the Leopard magazine. The article by Sandy Inglis from The Leopard can also be read here. Alex Ritchie recovered from this ordeal and resumed fishing in Gourdon. Our picture shows Alex on board the Happy Return l.
He later became part owner of the Happy Return ll which features in the story of the Bella which is also told in these pages. 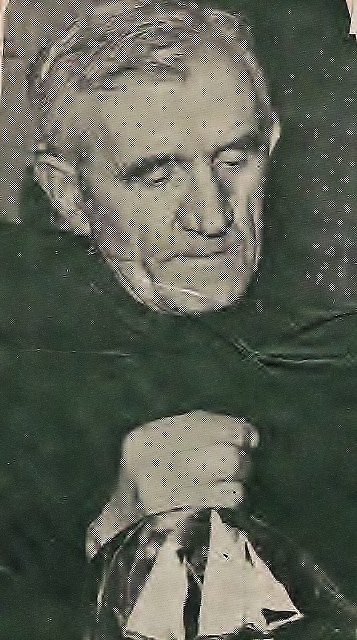 The above account owes much to the careful records of Tom Ritchie, son of Alex Ritchie's cousin, and to Robert Ritchie who contributed the photograh of Alex.